If you are looking for some fall inspiration and decorating ideas, here are 30 great projects. This is the first of several special fall edition features. There have been such fabulous ideas, I wanted to give each category a special post. I can't wait to do the great fall food feature. If you don't see your fall project in this post, there is still much more to come. Thank you so much for sharing these awesome projects and ideas with us! If you would like to have your fall projects featured, there is still time to link up at The Bouquet of Talent Party here. Oh, I love these French stamp fabric pumpkins by A Delightsome Life! Check out her great tutorial. How adorable are these pumpkins on a spring by Restyled Junk? I love this two tone pumpkin using Tide OXI by Bohemian Junktion! So creative and cute. Restyled Junk shared another great version of fabric pumpkins. Check them all out. 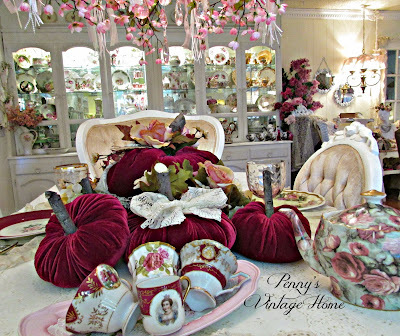 I love this gorgeous velvet pumpkin centerpiece by Penny's Vintage Home. 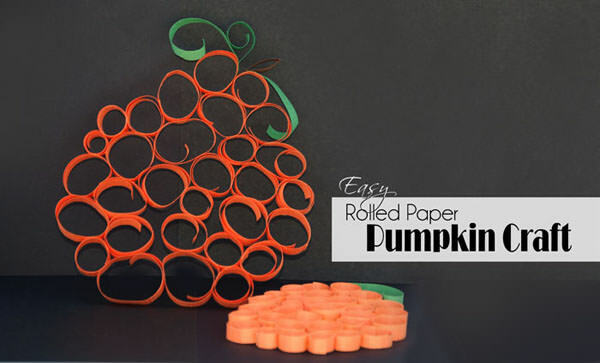 One Creative Mommy shared a fun rolled paper pumpkin craft. This is so cute! Living with Frugal with Erika created this lace pumpkin using butterfly stickers from the Dollar Store. 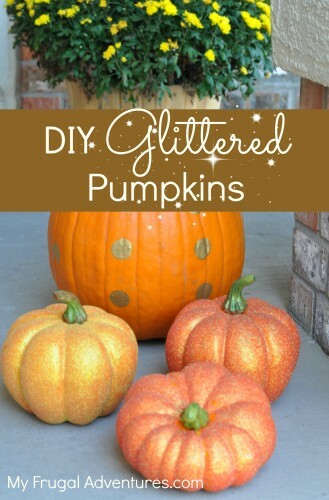 My Frugal Adventures shared her easy DIY glittered pumpkins. Grandparents Plus shared this beautiful fall wreath using hydrangeas. Debbie-Dabble shared lots of inspiration for fall and Halloween wreaths. Our Crafty Mom created this mesh deco and burlap fall wreath. I love this fall galvanized centerpiece by Priscillas. Vintage, Paint and more.... shared this beautiful vintage fall mantel. My Thrift Store Addiction shared her autumn harvest botanical mantel. Embellishments by SLR shared her beautiful European fall harvest mantel. 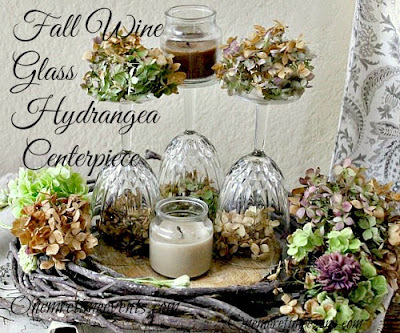 One More Time Events created this awesome fall wine glass hydrangea centerpiece. Southern Seasonz shared decorating ideas for the kitchen. This beautiful hydrangea arrangement was created by Lovely Things. Two Keck Girls shared their DIY Halloween pom pom garland. 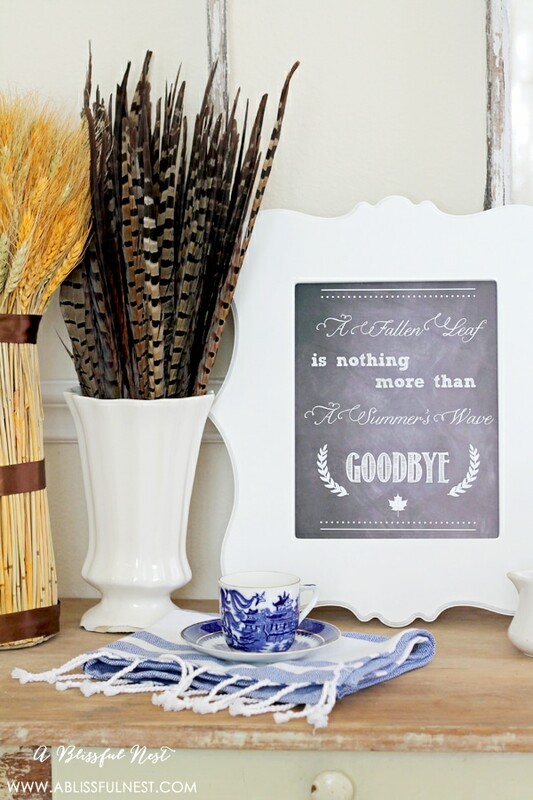 Let's Drink Coffee, Darling shared a tutorial for making this vellum fall banner. 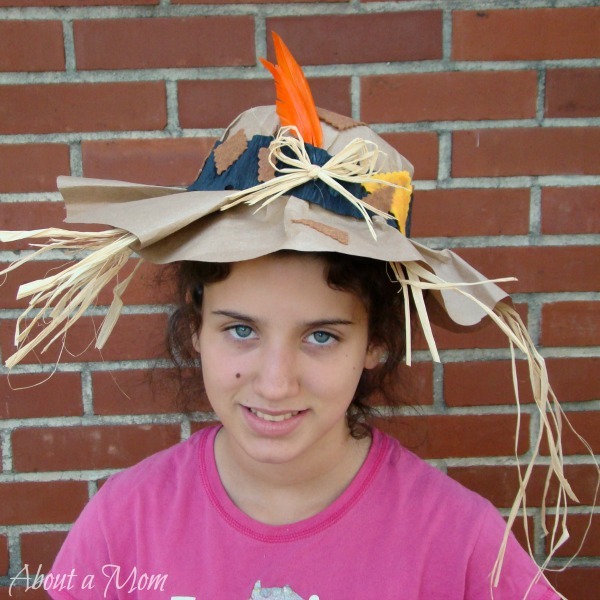 About a Mom created this cute paper bag scarecrow hat. Home.Made.Interest. created this fun Halloween footprint sign. 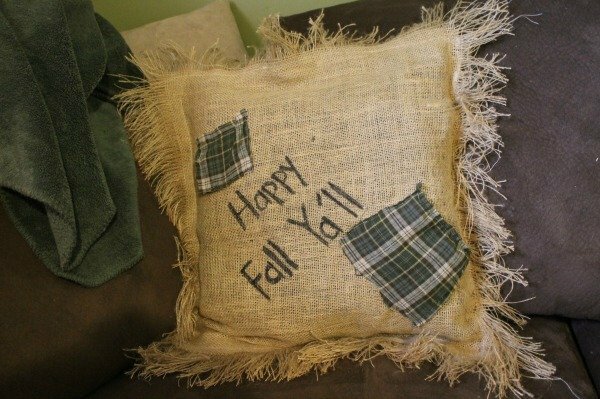 You Brew My Tea created this adorable fall burlap pillow. 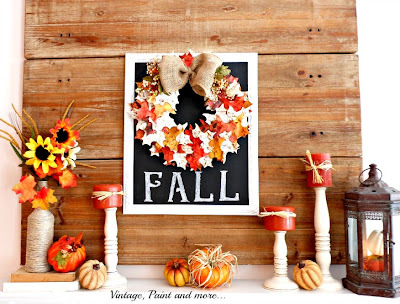 I love this fall chalkboard printable by a A Blissful Nest. 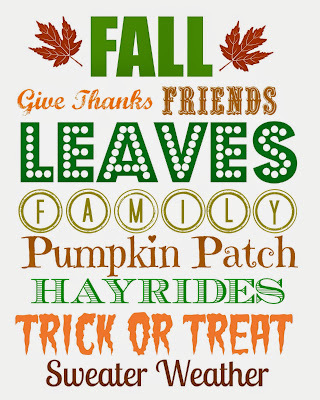 Carrie Elle shared this beautiful fall free printable. Finding Morgan shared another great fall subway art printable. 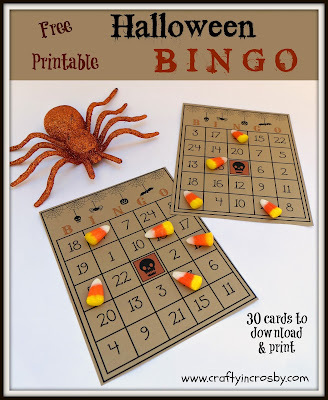 Crafty in Crosby created these fun Halloween Bingo printable cards. 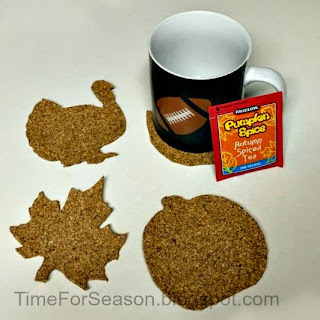 Time for Season shared a creative way to make cork coasters for any season. Thank you so much for stopping by for a visit. Have a wonderful week. 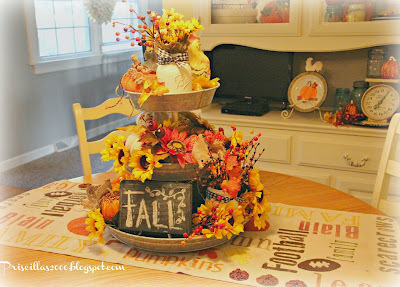 Thanks so much Kathy for featuring my Fall centerpiece! Have a great day ! Thanks so much for featuring my vellum fall banner! Hope you have a wonderful week, happy happy fall! Thank You for the feature Kathy! Oh so many wonderful features - thank you for including my mantel among them, Kathy.